Water is life, and a way is opening to get it for the new school! Can you imagine a secondary school operating for one year with no water? 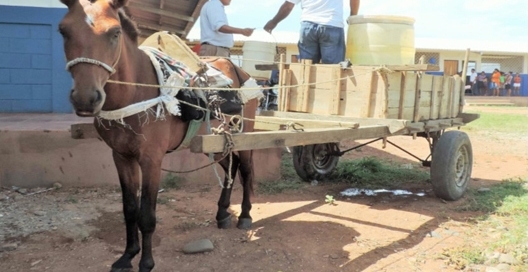 In Nicaragua, it’s possible. 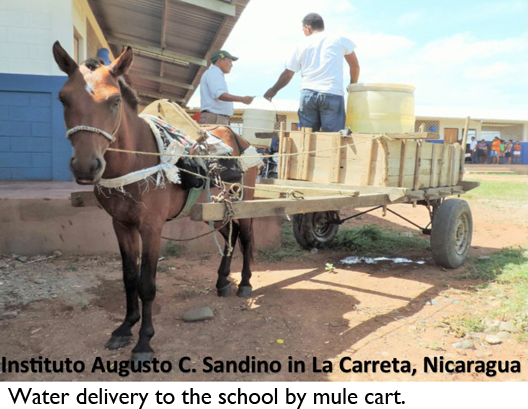 The Instituto Augusto C. Sandino has been operating since February 2016 with a barrel of water delivered twice weekly for all drinking and sanitation needs. Somos Ohana Nicaragua completed construction of the first two wings and the outfitting of one classroom as a computer lab a year ago, but we have been working on how on earth to fund the necessary well to make possible the community’s dream of an agricultural school, which will be teaching, in addition to regular academics, animal husbandry and agriculture. The 3rd wing of this school that Somos Ohana Nicaragua is committed to build will house a kitchen for preparing vegetables grown at the school for local market. We must have water! The design and drilling by Amigos for Christ will be free, an enormous gift, but the casing, the pump, power to the pump, and a tank will have to be covered by our organization. For the school, the estimated cost of those things will be about $15,000. This is a bargain for a public school well! But our money is already designated for 2017 programs and construction. Will you help us cover the well costs so that students and teachers have clean water to drink and improved hygiene, and so that we can move on to building the 3rd wing of the school for school gardens and small farm animals? Thank you very much for your gift of life-giving water!